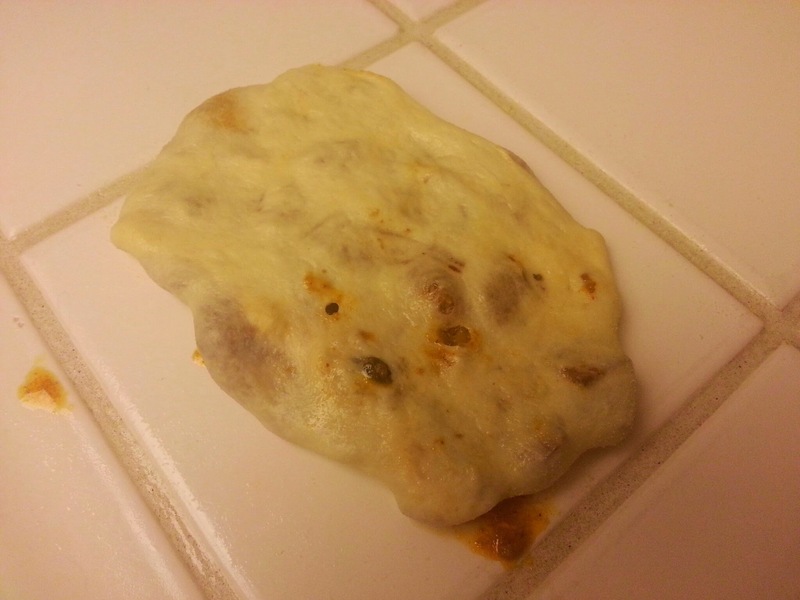 Not pancakes, not even crepes, though sometimes referred as such, MSEMMEN are a favorite Moroccan treat. These fried envelopes of puff dough are to die for! Traditionally served all deep-dipped in honey-butter sauce with Moroccan mint tea, they are the best for afternoon tea (or my all time favorite late night late night ceremony). 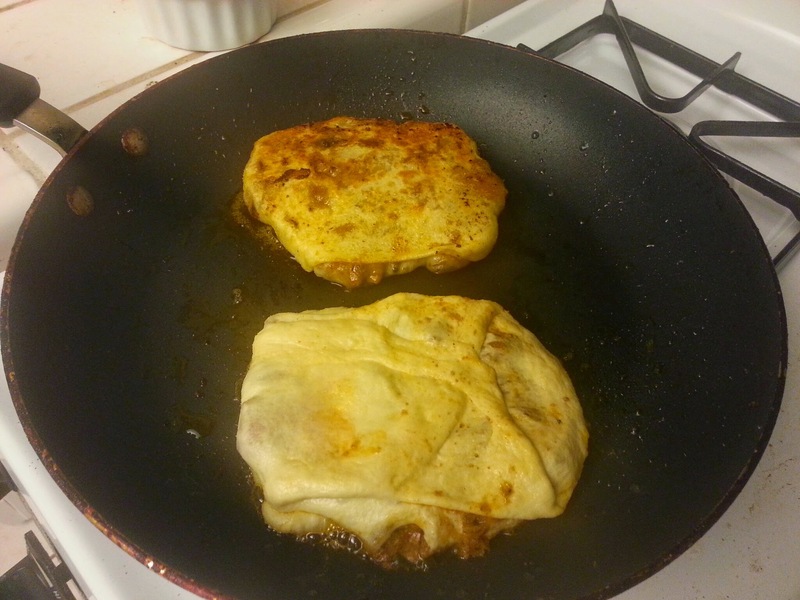 They are also frequently stuffed with ground meat, sauteed veggies or fruit. (My personal “thing” is banana, cut into circles and sprinkled with cinnamon). Stage 1: Oil the work surface. That’s right, fight that instinctive motion to sprinkle flour! 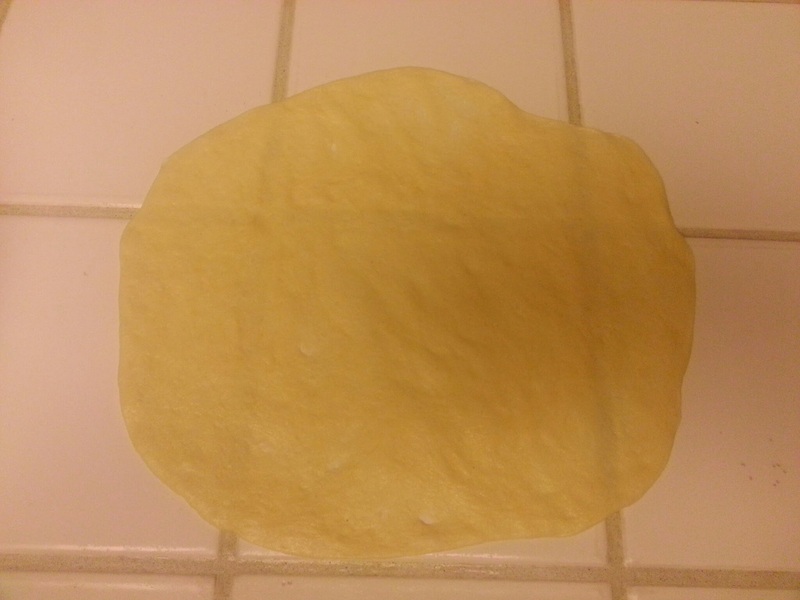 Stage 2: Use your hands to flatten the dough ball into a very thin circle. Forget the dough roller – Moroccans are magicians when it comes to using hands in the kitchen! 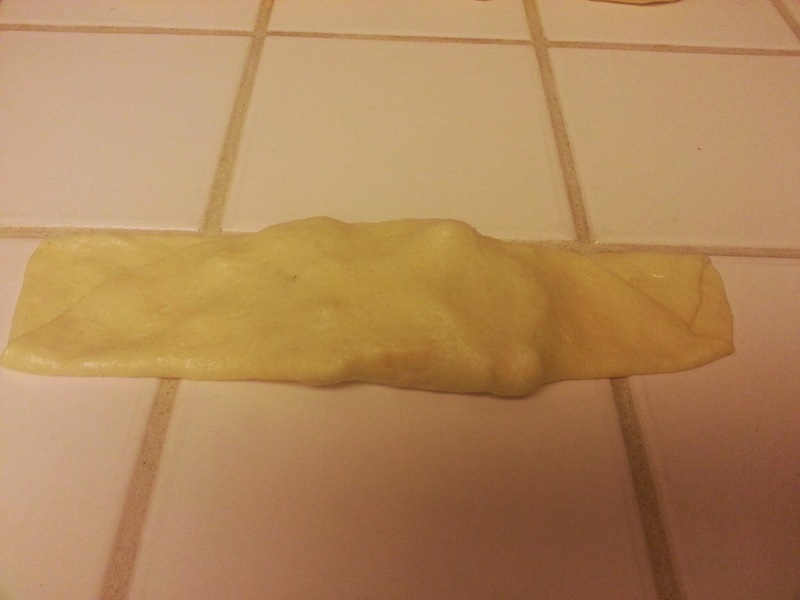 Stage 3: Put a table spoon full of filling in the middle. 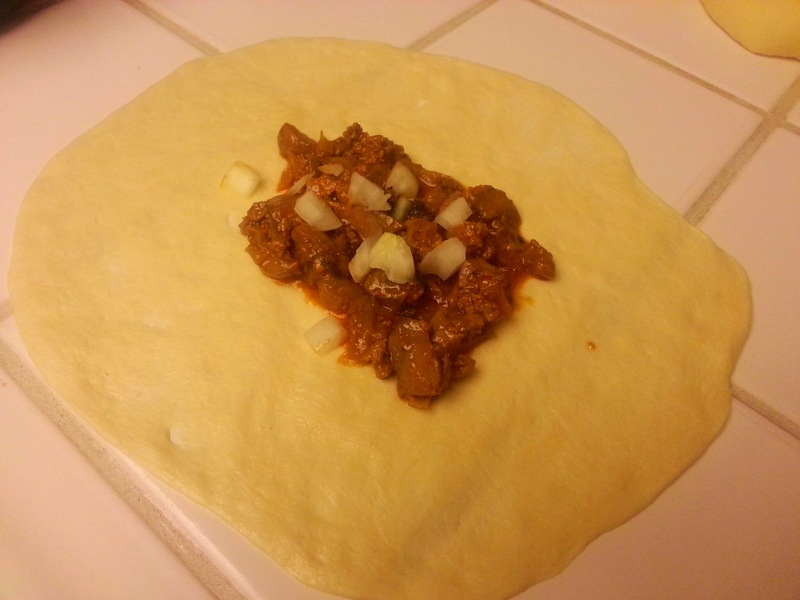 I used chicken liver, cut into tiny pieces, sauteed with onions, tomatoes, spices and cilantro. Love suggested sprinkling it with fresh onions – surely he is the Highest Authority here. 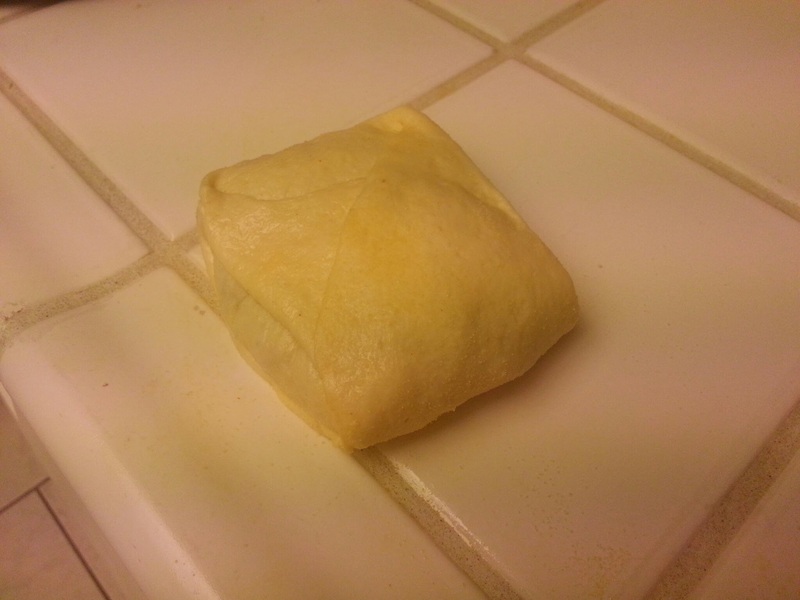 Stage 4: Fold it like an envelope.. Sprinkle some semolina flour on each fold. 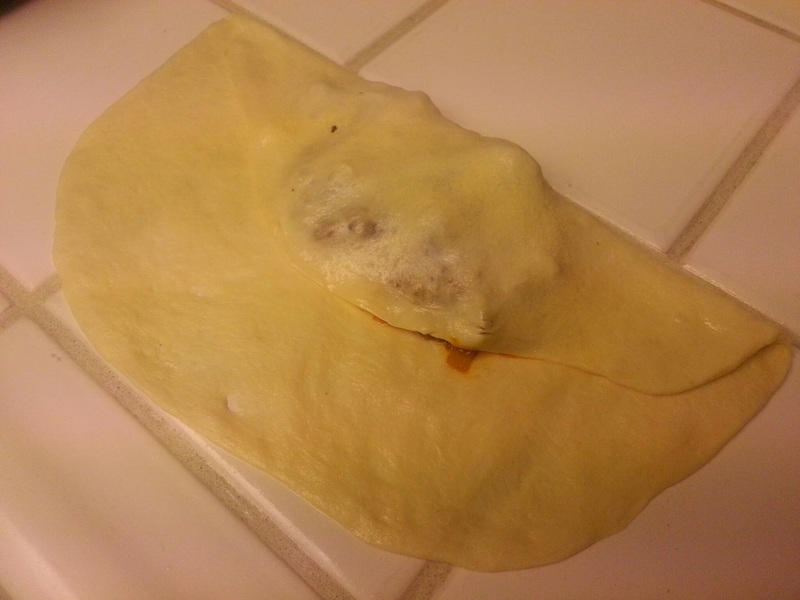 Fold to top over the filling. Sprinkle semolina. Fold to bottom like so. Sprinkle semolina. Flip it over and fold the edges onto the back side of the envelope (the side it was lying on a minute ago), one by one. Step back and admire your cute envelope. Stage 7. This one is just for lucky count 🙂 Eat the msemmen! Have a tasty Pancake Week, guys! In response to the “Write Now… Yes, Right Now!” challenge from PhoTrabloggeer and inspired by Amy from The World is a Book. One of my most valued possessions is a very old recipe book. 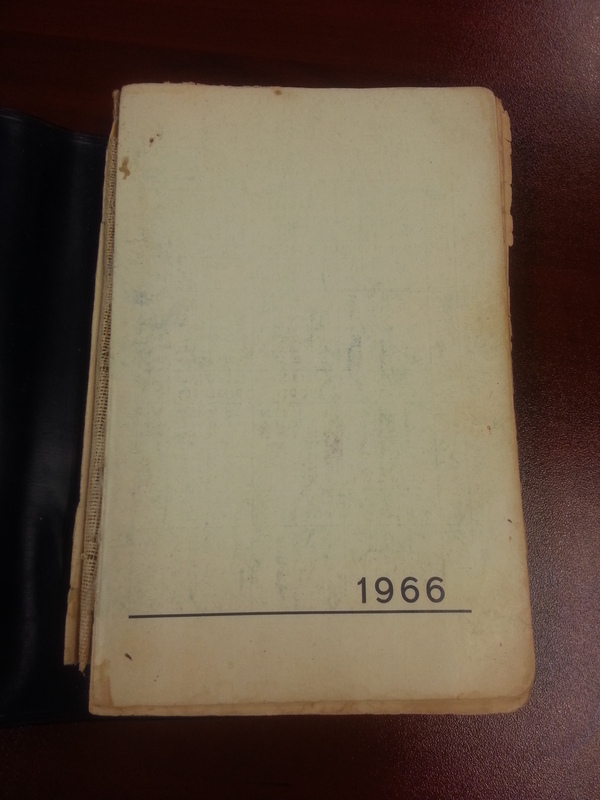 It’s an old notebook, a calendar diary of 1966, to be exact, with yellow pages and torn cover. It’s filled with recipes, most of which are pre-1917 recipes of marvelous cakes, French pastries, various types of dough and jams. 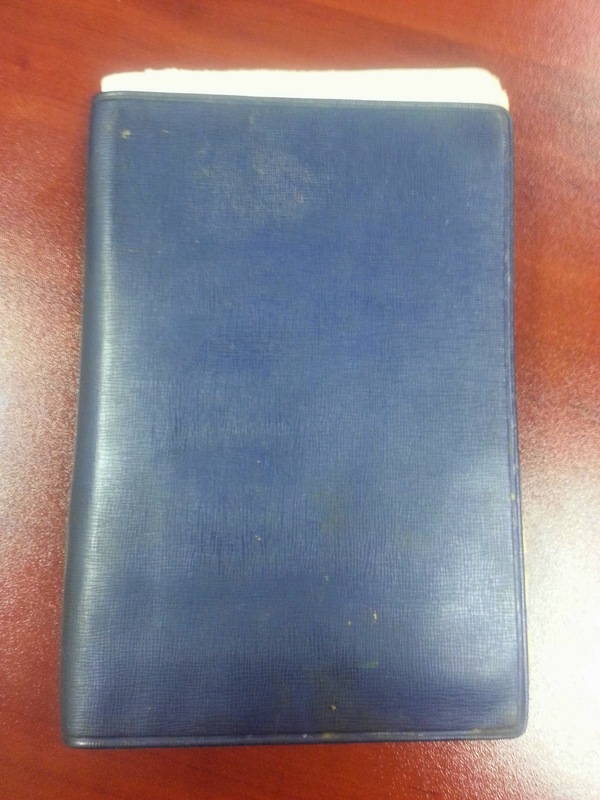 The bulk of the recipes, however, are not written on the pages of the notebook, but tucked in- between. 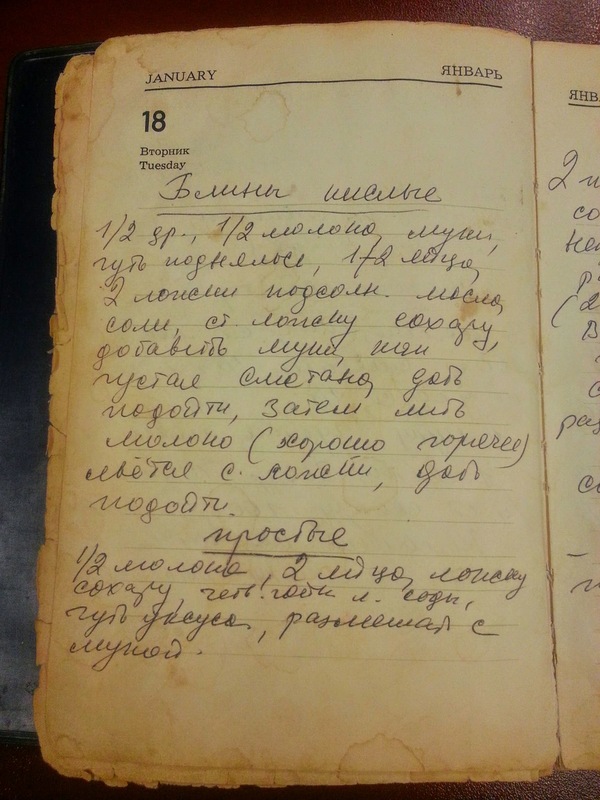 The recipes from before the Revolution of 1917 are my great-grandmother’s and those that “native” to the 1966 notebook are my grandmother’s. Today I have added one of my own. 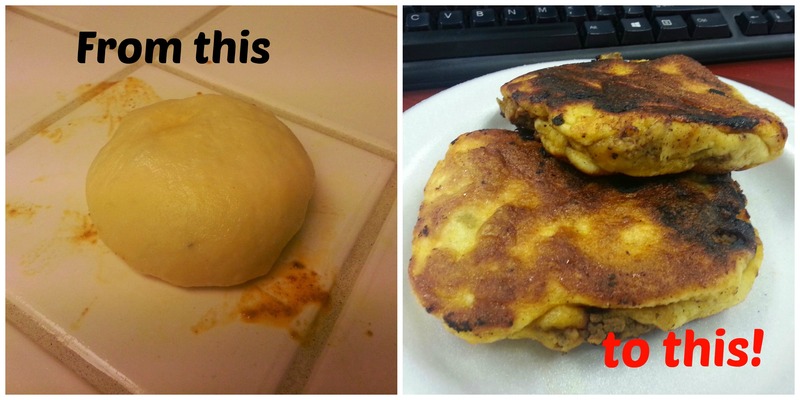 Pancake Week on my mind, I added a favorite recipe for pancakes, Russian style, but with no yeast. And here are two recipes of pancakes written by my grandmother. 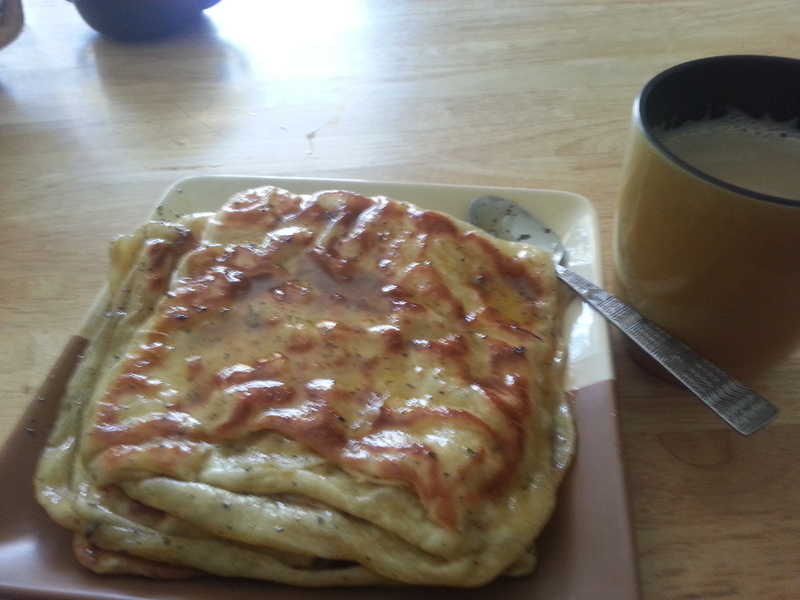 Both are Russian style pancakes, i.e. the size of the frying pan, soft, flexible, easy to wrap around any kind of stuffing, be it mushrooms, ground meat or cherries. The difference between the two recipes is that the first is the traditional kind, “sour” as my gran used to say, made with yeast, while the second, at the bottom, is the easier, modern way to cook the same pancakes substituting yeast with baking soda. 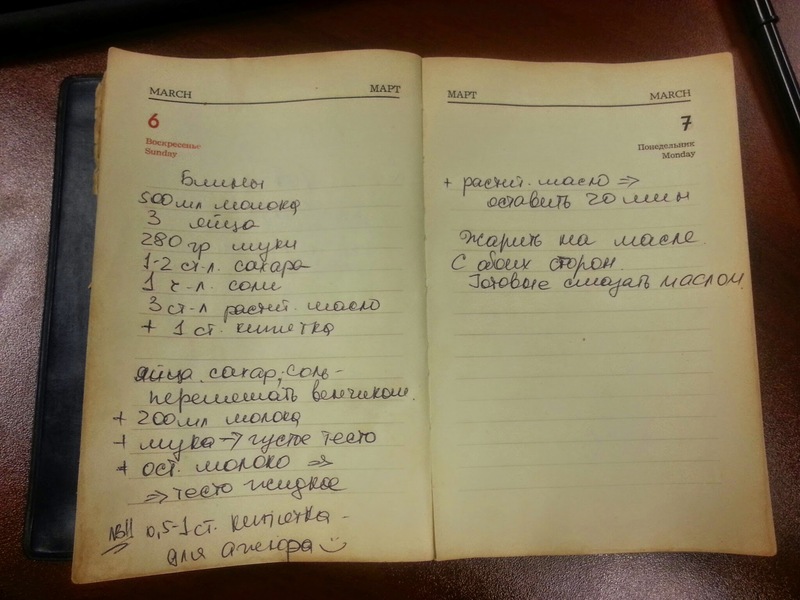 The language is Russian throughout the notebook.